Dog-N-Jog Wichita is a unique 5k race with a 1.5mile “Walk-N-Wag,” that asks for canine companions to join their owners and help raise money for the Kansas Humane Society. Over 300 people participated in last year’s event and we raised $10,540 to the Kansas Humane Society! With that success and the media attention it received, we are setting a goal of 450 participants which, if achieved, will raise over $14,000 for KHS! 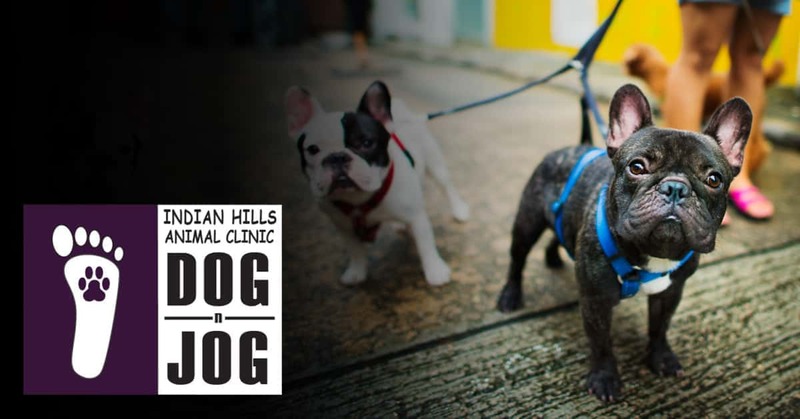 You can download registration forms from our website, pick up a brochure at either one of our Indian Hills Animal Clinic locations (1448 N. Maize RD or 3223 West 13th Street) or register online through our Dog-N-Jog website. Online registration is open now and will remain open up until race day. Both races are located at Sedgwick County Park at the south entrance off of 13th Street/Windmill Road.